Barnes & Noble Booksellers or "B&N" history as a book publisher is almost as long as it's. Although the idea publishers and booksellers competing with each other has traditionally been frowned upon, Barnes & Noble has published its own product since early in the history of the chain. 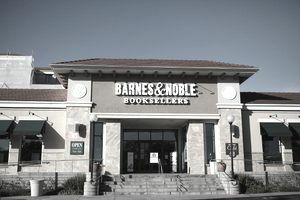 B&N’s product line greatly expanded as, with its vast network of bricks-and-mortar stores and its bn.com online retail operation, it has the means to distribute its own imprints. Largely value-priced and non-competitive with traditional trade houses, these Barnes & Noble published books likely have greater profit margins than the books they buy from other publishing houses. In the 1970s, Len Riggio, founder of the fledgling Barnes & Noble chain, acquired a bookseller called Marboro Books, which also had a mail-order bookselling arm. In addition to giving B&N the ability to reach customers all over the country in the pre-online retail days, Marboro’s mail order operation gave the company unique insights into customer desires and buying patterns. Based on the types of books B&N saw selling, they began to publish their own books for their growing mail-order customer base, primarily out-of-print books that were reissued in affordable, “bargain” editions. Two of the first books published by Barnes & Noble were The Gentle Art of Verbal Self-Defense by Suzette Haden Elgin and The Columbia History of the World by John Garrity; they have sold over 250,000 and 1 million copies, respectively. Over the next decade, B&N expanded its publishing to include classics as well as illustrated books. In the early 2000s, Barnes & Noble acquired two companies that expanded the bookseller’s publishing capabilities. B&N Acquires SparkNotes.com: In 2001, Barnes & Noble purchased SparkNotes.com “a leading study aids website,” an online competitor to the venerated and profitable brand, CliffNotes. SparkNotes.com was the brainchild of two Harvard students who were looking to cash in on the internet boom and actually began life as an internet dating site, TheSpark.com. Aimed at high school and college students, the developers hit upon the idea of getting kids to visit more frequently by offering free study guides. SparkNotes.com offered free online access to literature notes and more than 1,000 study guides on everything from literature to chemistry to computer science. The site gave Barnes & Noble the content to publish hard copy print publications of SparkNotes study guides, which rapidly became bestsellers. SparkNotes are now available in e-book format, as well. B&N Acquires Sterling Publishing: In 2003, Barnes & Noble purchased a publishing house, Sterling Publishing, a 60-year old Manhattan-based trade publisher that specialized in value-priced non-fiction books such as chess, gardening, and wine. Barnes and Noble reportedly paid about $100 million for the house, which had a backlist of 4,500 titles. As Sterling’s mission was to “to publish high-quality books that educate, entertain and enrich the lives of our readers,” and offered them at a price generally lower than many trade books, Barnes & Noble CEO Len Riggio was quoted by the New York Times as saying, “This is an opportunity to build and grow Sterling's publishing business and to sell Barnes & Noble's publications to the trade.'' However, after its acquisition by Barnes & Noble, Sterling Publishing faced distribution resistance from booksellers such as Borders who, understandably didn’t want to put money into the pockets of its major competitor. In the fall of 2010, B&N launched PubIt!, an "easy-to-use platform that offers independent publishers and authors a lucrative way to digitally distribute their works through BN.com and the Barnes and Noble eBookstore." Competitive with Amazon.com’s CreateSpace, the PubIt! platform offered self-publishing authors the distribution capabilities of B&N’s electronic bookstore. It entered the e-publishing marketplace with the competitive advantages of a swift text-to-upload turnaround, clear terms, no hidden fees, and no additional charges for larger file sizes. In early 2013, PubIt! was updated and renamed to NOOK Press.